Our wine comes from our own Labyrinth Vineyard, a 2-acre parcel rich with Goldridge soil located in the heart of Sonoma County’s Russian River Valley AVA. 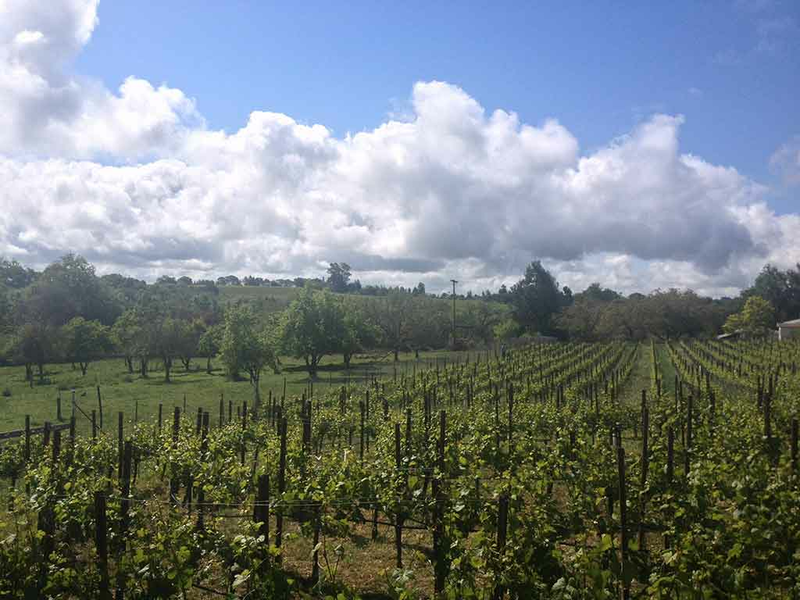 We planted it ourselves, manage our own farming operations, and make our wine here on site. We’re one of only 139 CCOF Certified Organic vineyards in the state of California. This means that we don’t spray harsh, artificial chemicals like fungicides and herbicides. 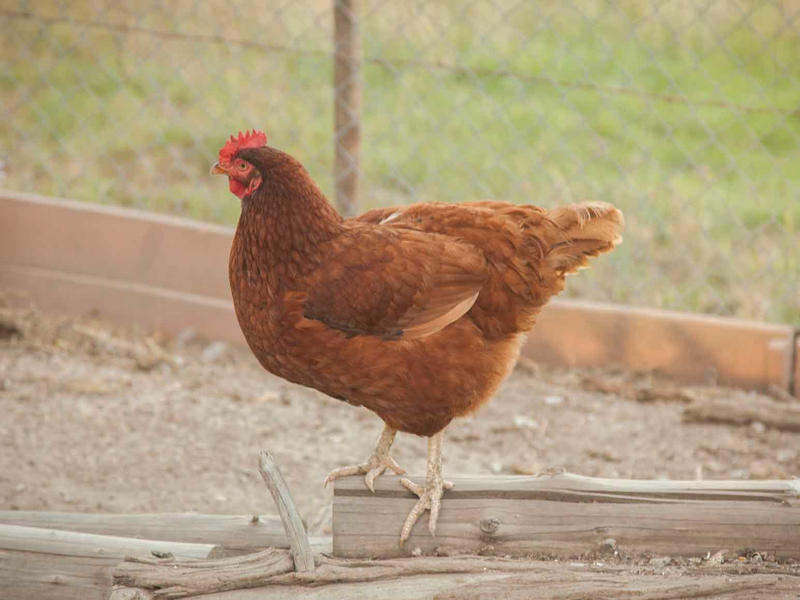 We use nutrient-dense, organic compost instead of industrial fertilizers. Our cover crop of clover and fava beans both feeds the soil and creates a home for beneficial pest-eating insects. We have boxes for owls to keep our gopher population in check naturally. We practice canopy management so that the vines stay healthy with sunlight and fresh air. 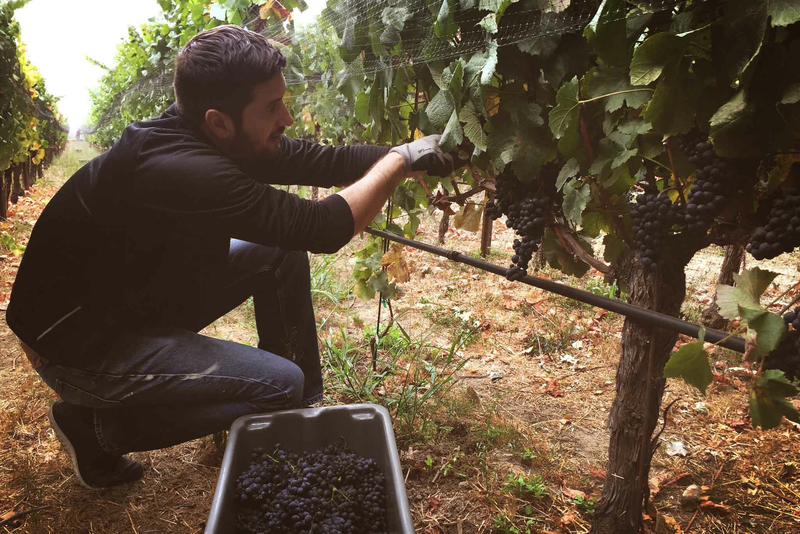 We meticulously tend our vineyard. Every morning we walk the rows to see how our vines are doing. We’re there the moment our buds break. 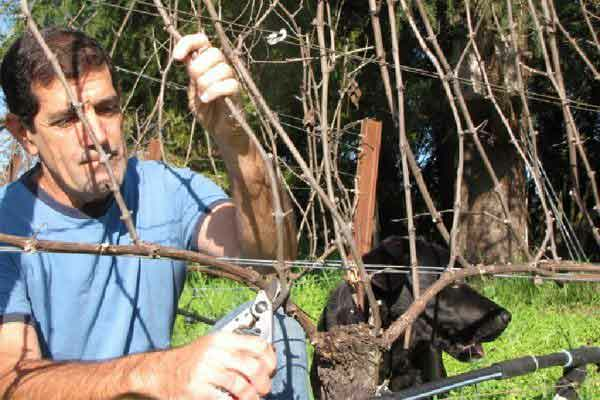 As vine growth takes off, we thin and sucker the shoots that aren’t producing fruit. And as the summer heat sets in, we manage our canopy, picking off just the right leaves to be sure our fruit ripens and doesn’t burn. We dry farm our vines, which gives us a smaller yield and greater intensity of flavor. 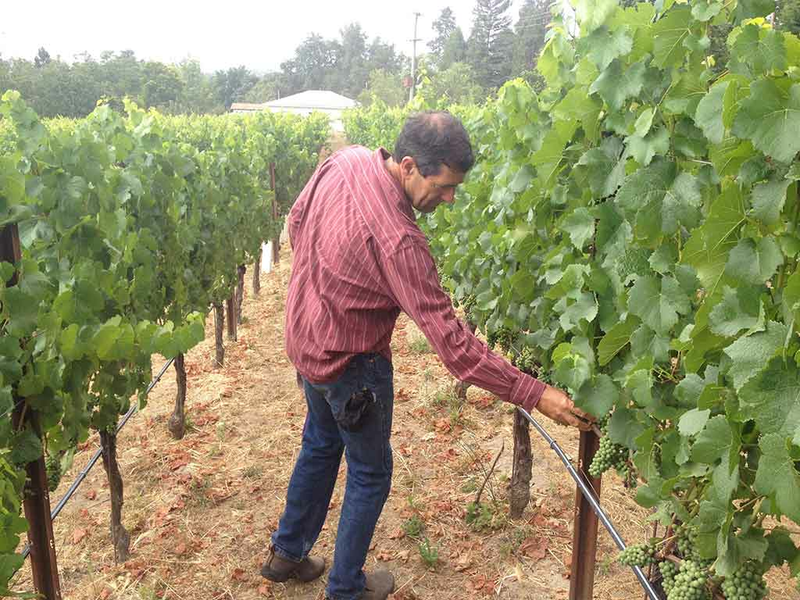 Dry farming during the growing season encourages vines to reach into the soil to extract our vineyard’s specific combination of water, minerals, and nutrients. 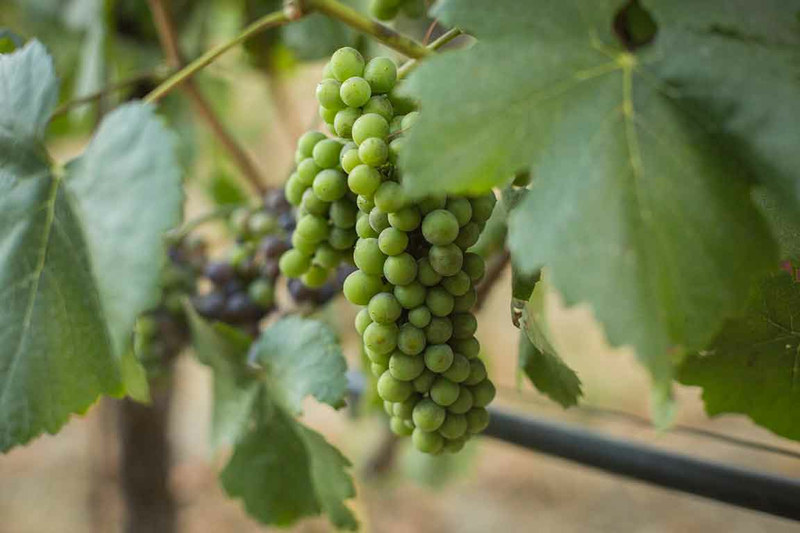 We want our grapes to reflect the terroir and we’ve selected varieties and rootstock that flourish naturally on our land. 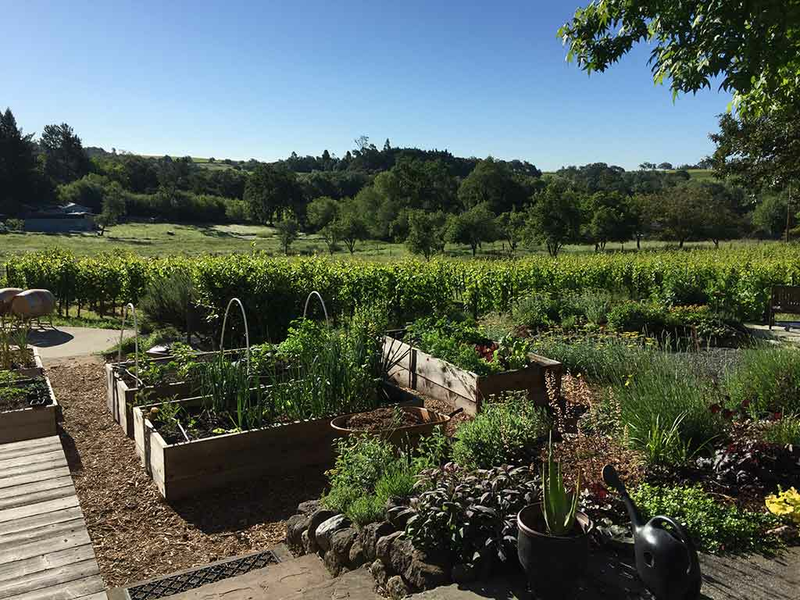 We encourage the rich biodiversity of our Russian River land. We have dogs, chickens, gophers, mice, lizards, cows, and a pesky skunk living alongside our vines. We work with the Sonoma County bird rescue center to rear young birds of prey and we’ve seeded new, healthy populations of barn owls and red shouldered hawks. Chris, who’s an herbalist, grows a variety of vegetables, flowers and healing plants. A stream runs along our north side and fruit trees line the south side.